All Parts Store Inside an Indestructible Handle with Easy-to-Open Rubber Cap! I use this kit myself. 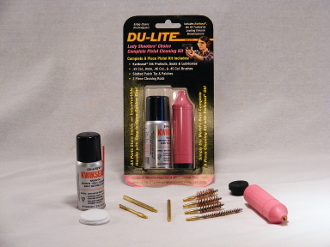 It is very easy and convenient, can be kept in you pistol case for convenience.